The Toyota Tacoma is a favorited compact pickup truck that gives its owners more action and more sport. This truck is stylish with off-roading capabilities that take owners to places not all trucks can take them. The design is rugged, the features are plentiful, and the drive is a smooth and powerful one that contributes to the truck’s high level of comfort. Why Choose the 2017 Tacoma? The 2017 Toyota Tacoma can take you from the city, to the mountains, to the desert without missing a beat – thanks to its cutting-edge suspension and tough build. It’s a tough truck to beat, which is why buyers should test both the 6-speed manual and the automatic transmissions before making a final decision. The Tacoma has 9.4 inches of ground clearance, allowing it to manage well on rough terrain. The cloth seats are comfortable and, just as the outside is built for ruggedness, the inside is as well. It’s not considered a luxury truck, but the features are impressive. For instance, the Tacoma boasts a 6.1-inch touchscreen with the option to upgrade to a 7-inch screen with built-in navigation. The Entune system is highly responsive, and the screen is easy to navigate. For buyers that require USB connectivity and Bluetooth, those features are there, as well. The Bluetooth is easy to pair with, and the sound quality through both methods of connectivity is excellent. In regards to space, the double cab allows for up to three more passengers, so you can take friends or family on adventures with you. For a compact truck, the interior is spacious with the truck coming out ahead on hip room in the backseat. The backseats are even comfortable. If you need towing capabilities, the Toyota Tacoma has 3,500 pounds of towing capacity, adding to the list of fine features that make this affordable truck a good choice. It’s a good choice for someone who wants a truck without the overly bulky side. It’s also great for the owner who wants to hit the dirt without feeling like the truck is going to fall apart. In fact, falling apart is one of the last things you have to worry about, as this is a tough truck that has earned a total rating of 4 stars from the National Highway Transportation Safety Association (NHTSA). The Tacoma’s safety ratings are on point with its competitors. Compared to the 2016 model, it comes with a lower MSRP and six trim levels instead of five. The Toyota Tacoma has a history that goes back to 1995. It started as a compact truck but was a midsize truck during its August 2004 to August 2015 second generation. The third generation began in September 2015. The Tacoma was manufactured as the replacement for the Hilux, which was simply the “Toyota Pickup” in the United States. The purpose of the Tacoma was to improve ride quality, comfort, handling, design, and safety. The goal wasn’t necessarily to make the truck more rugged or give it more payload capacity. This truck was the answer to the demands of a U.S. and Canadian pickup market that wanted pickup trucks for more than just towing. At this point, consumers in these markets were using pickup trucks as personal vehicles. When the Tacoma was increased in size in 2004, it was a bigger and more powerful truck. There were 18 configurations that included three cab styles, two engines, four transmissions, and two bed lengths. Therefore, buyers had many options to choose from. The current generation, which is the third generation, offers many features with a reworked exterior. It is once again a compact truck, but one with a frame that consists of more high-strength steel to make the truck more rigid. Buyers can choose their trim based on the type of terrain they will frequent. Are you ready to purchase your new Toyota Tacoma and let it take you to new places? 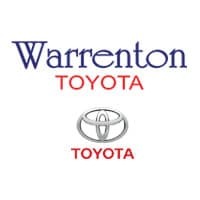 Warrenton Toyota provides you with the customer service and excellent buying experience that you deserve. You will be connected with the Tacoma that meets your needs, wants, and demand for style. Warrenton Toyota has a reputation for providing customers with an unprecedented buying and ownership experience. The entire staff goes above and beyond to exceed customer expectations and industry standards by delivering benefits that can’t be found at any other dealership. After you have made your purchase, you can continue to enjoy the quality Warrenton Toyota experience by contacting our service department and allowing our experts to properly maintain your Tacoma. Visit us in Warrenton, Virginia, today!